The Kiwi was flawless on the final afternoon of the season, setting up what would have been a well-crafted win. 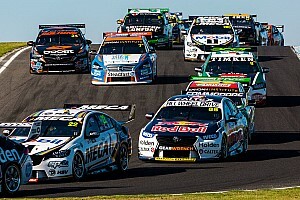 However, with title rival Shane van Gisbergen nowhere near quick enough to mount any sort of challenge, McLaughlin went with a cautious approach at back end of the race, letting the lingering Erebus Holden of Reynolds through with four laps to go to ensure he didn't get caught up in an unnecessary battle for the win. 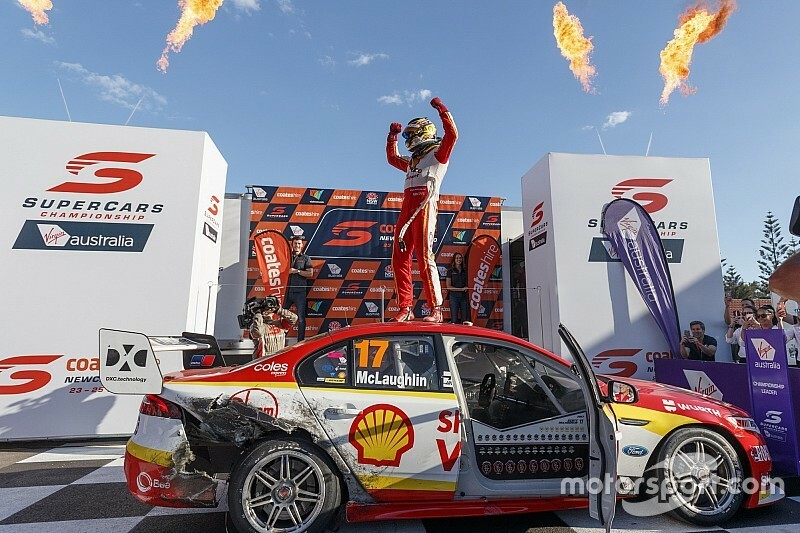 Even with finishing second McLaughlin ended up 71 points clear of van Gisbergen, whose fourth place ensured the controversial Saturday penalty played no hard and fast part in the final equation. Polesitter Reynolds comfortably controlled the opening phase of the race, keeping McLaughlin at arm's length for the first couple of laps before establishing a 1.5s gap. Van Gisbergen, meanwhile, needed a bit of Holden help to get onto McLaughlin's tail; having been out-dragged to the first corner by Garth Tander, the Red Bull Holden driver was given plenty of room when he showed his nose at Turn 8 later in the first lap. 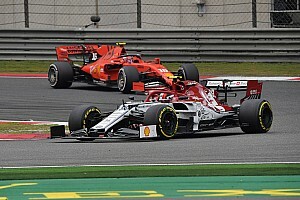 The contenders ran in second and third until a Lap 20 Safety Car sparked the first round of stops. The cause of the caution was a reprisal of the Jamie Whincup/Fabian Coulthard squabble from yesterday, the pair clashing at Turn 12 for a second time in as many races. This time it was Coulthard that ended up in the wall, the contact knocking the rear wing clean off his Falcon. McLaughlin was the winner of the dash into the lane, coming out in the lead ahead of Reynolds, Whincup and James Courtney, the latter two having made their first stops before the Safety Car. Van Gisbergen was on the losing end of the deal, coming out behind that group in fifth. The middle stint proved damaging to van Gisbergen's race, the 26 laps spent buried under Courtney's rear wing. As a result he fell to 13s behind leader McLaughlin before diving into the pits for his second and final stop. McLaughlin had some traffic issues of his own deep into the second stint, coming across the likes of Andre Heimgartner and Richie Stanaway that had already pitted. To limit the damage Penske pulled him into the lane on Lap 47, McLaughlin re-joining the race with his effective lead in tact, and Reynolds, who pitted on the same lap, more than a second behind. Van Gisbergen did jump Courtney as the stops shook out, but was still back in fourth behind Whincup and 18s off the lead of a race he needed to win. Things didn't get any better for the Red Bull Holden driver on the run to the flag, van Gisbergen falling further and further back from the leader as he clearly lacked the pace to mount any sort of challenge. 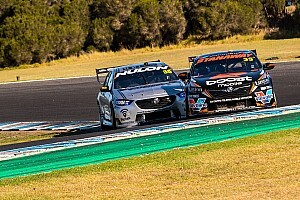 Then, with around 20 laps to go, the front-left inside guard worked its way loose on van Gisbergen's car, the right guard following suit 10 laps later to add insult to injury on a tough afternoon. McLaughlin, meanwhile, finally went conservative in the closing laps. While he could have probably fought it out for the win, he instead opted to let Reynolds – who was never more than a second or so behind – go with four laps to go. The pair ended up crossing the line separated by 4s, Reynolds the race winner and McLaughlin the 2018 Supercars champion. “Everyone here works so hard,” said McLaughlin. “We have to pay respect to Shane, we raced so hard all year, it’s been a hell of a battle. “With 30 to go I thought ‘this could be on’ and it was the longest 30 laps of my life. 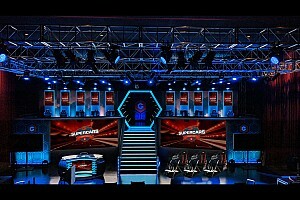 Reynolds added: “I had a mega, mega car out there. 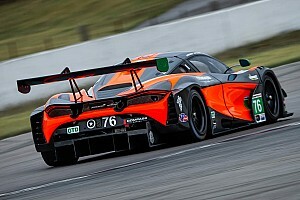 “I got a really good start and first stint, my second stint wasn’t the best, Scott got away from us and we had a bit of fuel time on him to lose. “The car got better and better, I could see him starting to slide and thought ‘if he’s smart, he’ll let me go’ and then he did. Jamie Whincup and van Gisbergen finished the race third and fourth respectively, the latter 42s down on Reynolds by the finish. "We did everything we could. 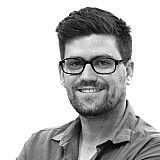 Congrats to them, they’ve been worthy competitors and worthy champions,” said van Gisbergen. “I’ve enjoyed the fight and am still proud, but it’s a tough one. That race, I just got stuck behind James and couldn’t do anything to get up there." Courtney finished his season off with a fifth place, followed by Heimgartner, Chaz Mostert, Lee Holdsworth, and Scott Pye. Craig Lowndes, whose afternoon started with a touching guard of honour from the entire pitlane, rounded out his full-time Supercars career in 11th place.